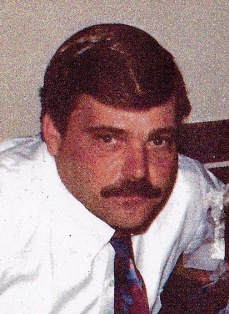 Obituary for Michael "Beaver" Dziedzic | Maloney Funeral Home, Inc.
Winsted: Michael Alan (Beaver) Dziedzic, 57, passed away on Tuesday, January 8, 2019 following a lengthy illness, Born in Winsted, July 14, 1961, he was the son of Clara (Dings) Dziedzic of Winsted, and the late Roger Dziedzic. He had attended local schools and was a graduate of The Gilbert School, class of 1980. He was a U.S. Army Veteran and prior to his illness, he had worked as a truck driver for O&G Industries in Torrington. He had been a member of Winsted Fire Dept. Engine #3 (Niagara), he enjoyed car races and taking trips to Niagara Falls, with his friends. In addition to his mother, he is survived by two brothers, Roger (Spud) Dziedzic of Winsted and Glenn (Opie) and his wife Lisa Dziedzic of West Hartland; a sister, Lorrie (Buffy) Vaill and her friend Matthew Cook of Winsted; his step-mother, Cindy Dziedzic of Winsted; a nephew, Dudley Landon Vaill and a niece, Stevie Marie Avis Vaill. He was predeceased by his grandparents, Florence and Frank Dings and Ruth Ozbet. A celebration of his life will be celebrated on Saturday, January 19, 2019, from 12:00 Noon to 1:30 PM, at the Maloney Funeral Home 55 Walnut Street, Winsted. In lieu of flowers, memorial contributions may be made to WFD - Engine #3. Burial will be in Winchester Center Cemetery in the spring.